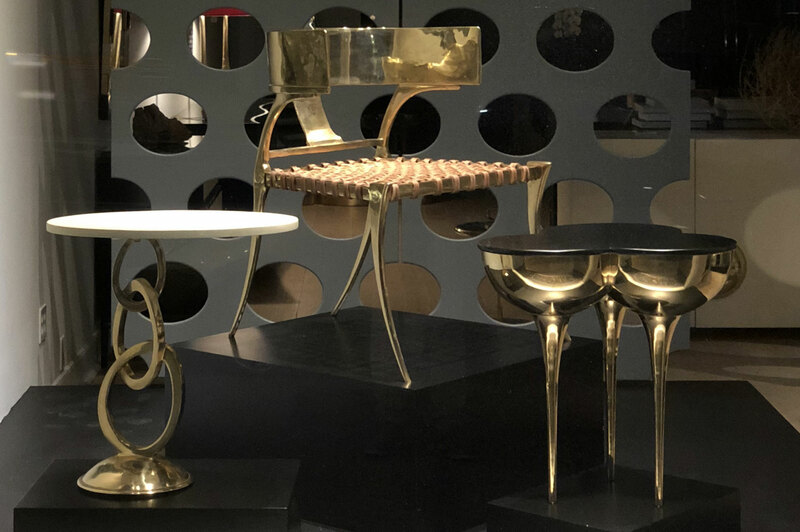 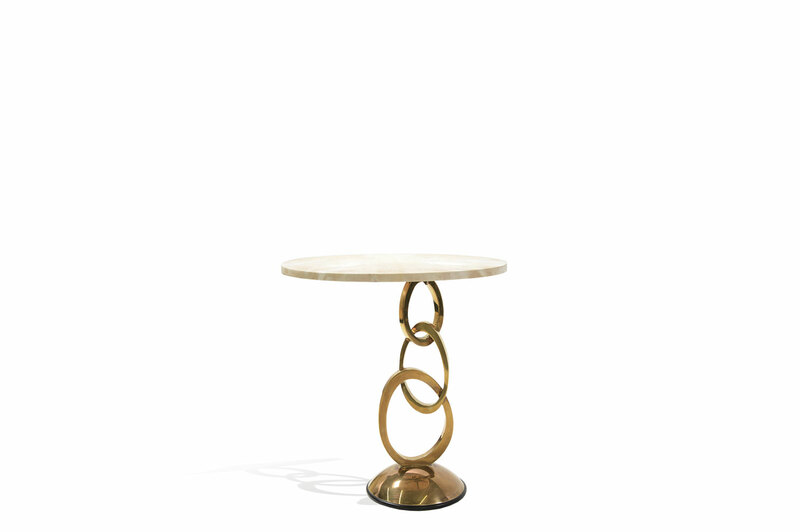 This opulent drinks table exhales style and luxury. 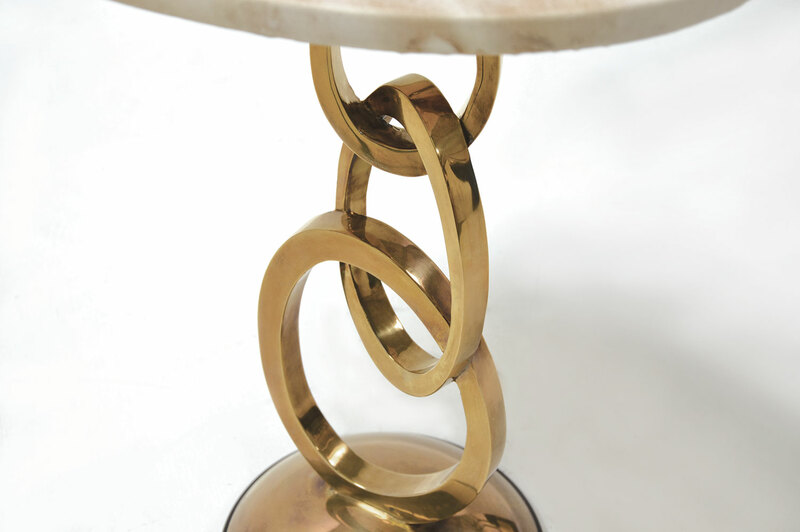 The base is made from solid brass, sitting on a dome foot. 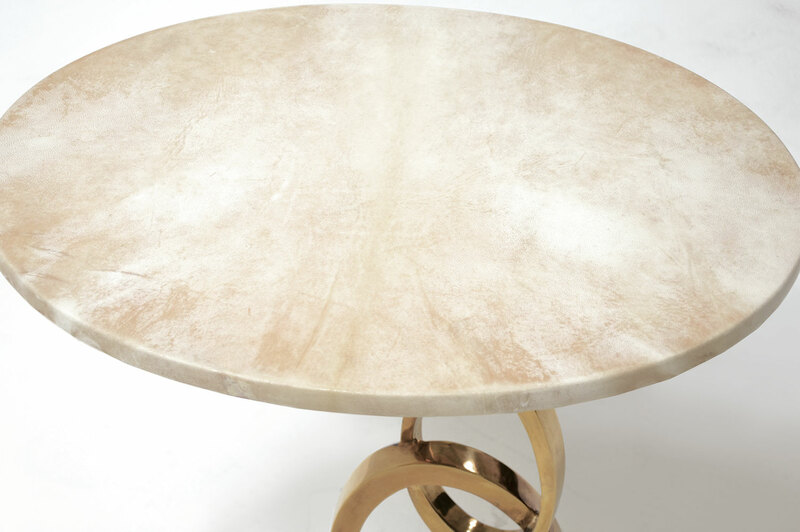 The oval top is beautifully mantled in goatskin.